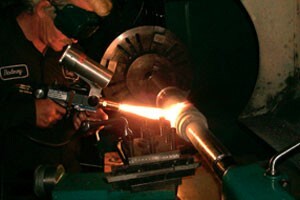 Machine Shop Services, Flame Spray Remetallization, Dynamic Balancing. Pumps, Gearboxes, Blowers, Base Plates, Shafts, Rolls, Impellers, Component Repair, Modifications, Fabrication of Unavailable Renewal Parts. delivery from OEM. 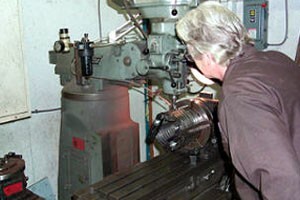 Machining a new shaft locally was 6-7 hours on rush overtime. 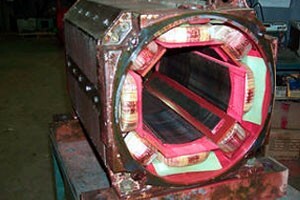 This shaft was repaired in 2 1/2 hours during regular time, saving the customers hours in down time. Waste water treatment cutter head die was machined from scratch. 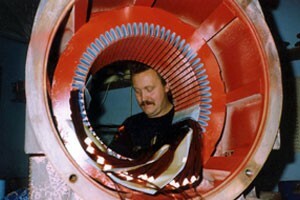 A renewal unit was unavailable from the manufacturer. 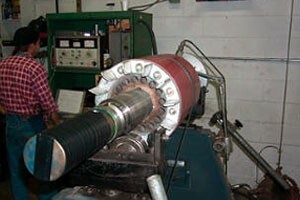 300 hp Crusher Motor Rotor during dynamic balancing. 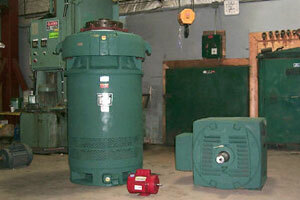 Motor Testing, Alignment, Balancing, Vibration Analysis, Apparatus Removal & Reinstallation, Brush Checks.